The Yakuza series has seen a major resurgence thanks to the great Yakuza Zero and then Yakuza Kiwami of last year. With the renewed interest, it meant that Yakuza 6 had a lot to live up to in terms of pleasing old fans and keeping new ones invested. Unfortunately, while Yakuza 6: The Song of Life keeps the series’ highs, it has even lower lows. Yakuza 6’s major bullet point is that this is the last game for series’ star Kazuma Kiryu: The Yakuza with a scatterbrain and a heart of gold. Following the events of the last game (with plot synopses available for all main titles), Kiryu has gotten out of prison to find that his adopted daughter has been hit by a car and left in a coma. Upon discovery that she had a child, Kiryu is once again thrown back into a massive conspiracy that involves all the major crime groups in Japan. While that is the basic description, Yakuza 6’s story is really good and has some serious discussions about families and being an orphan in Japan, but anymore would be spoiling things. The basic beats of the franchise are once again on display. As Kiryu, you will explore the fictional (but based off of real cities) of Kamurocho, and now Onomichi. 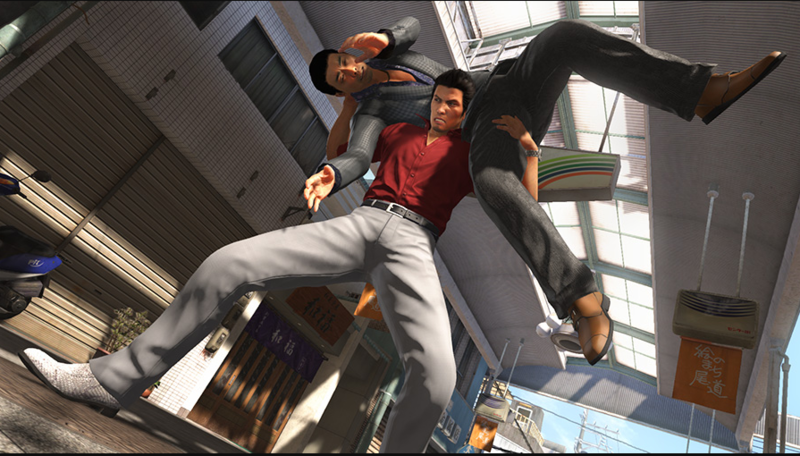 As we’ve talked about, the Yakuza series plays more like a JRPG, but with beat-em-up fights instead of turn-based combat. 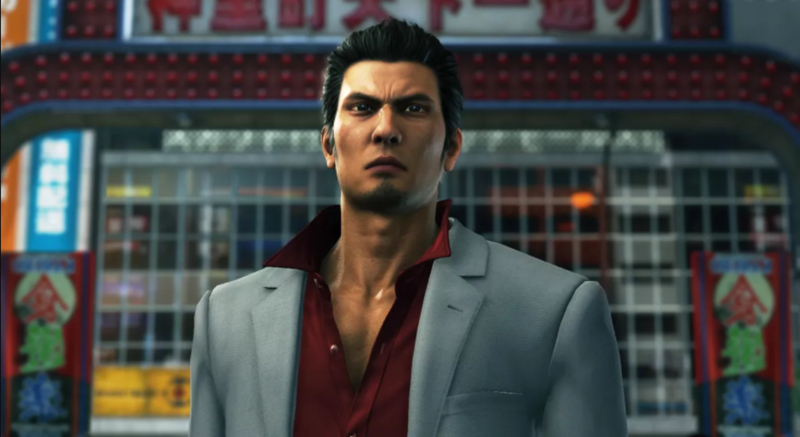 With this being the last game for Kiryu, expect to watch a lot of cutscenes of him looking stern and getting into fights. For those wondering if the sub stories have gotten any stranger, you’re in luck. From cults, ghosts, sentient AIs, and even time travel, the writers and translators for the game had a lot of fun coming up with stories for Kiryu to get involved in. The amount of side content of the Yakuza series is legendary at this point, and Yakuza 6 throws a lot at you to get distracted by. It wouldn’t be a Yakuza game without throwing all many of minigames and side content at the player. The usual grab bag of side content makes their return; including mahjong, darts, and playing arcade games. 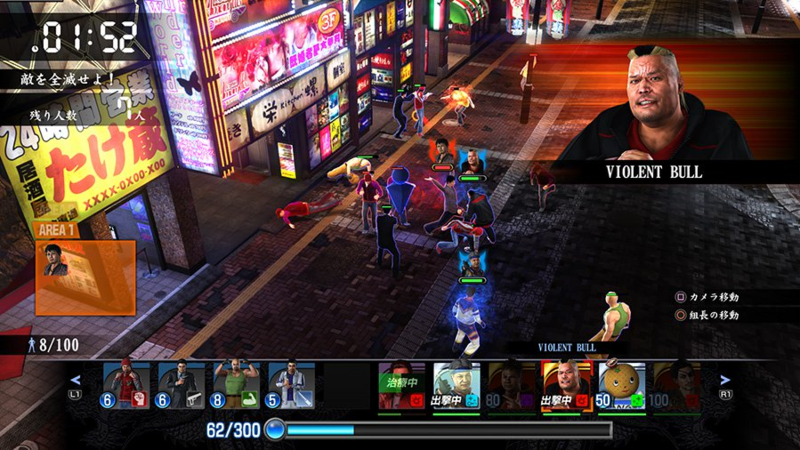 The new system for Yakuza 6 is the clan battle game. Once again, Kiryu gets mixed up in trouble and ends up leading a street gang in fights to take back the city. It’s a quasi real time strategy mode, as you send nameless members and leaders to do battle. I would have liked to have seen more on the recruiting and team management side of things though. One of the more interesting elements of Yakuza 6 is how stripped down it feels compared to the previous games. You’re not going to be buying weapons or a ton of gear this time around. I couldn’t find the battle arena, unless it was hidden behind the sub stories. And that is a good representation of my big problem with the game, and how so much seems to be removed for what was supposed to be a grand finale. Starting with combat, Yakuza 6 feels like a major downgrade compared to Kiwami and Zero. I don’t know if this was a narrative decision to reflect Kiryu getting older, but you don’t have access to any styles this time around. In response, your actual moveset during fights is a quarter of what it was in previous games. 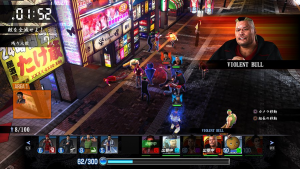 For fans of the Yakuza series, you know that a major part of combat is keeping the enemy guessing by mixing up your attacks. If you don’t, they will start to read your moves and auto block or dodge; especially the bosses. With Yakuza 6, I found myself constantly reaching that point where I couldn’t land a blow on the enemy, because I went through all my available moves. Several bosses turned into slogs where I had to cheese them using Kiryu’s charge attack. One silver lining was that the bosses never hit that same level of crazy attacks and combos seen in Kiwami; with no life regen here. The styles have been replaced by a new “extreme heat” mode that can be triggered as long as you have your heat gauge filled. Extreme heat allows you to perform additional attacks and new heat moves (over the top attacks). Unfortunately, the camera zooms in so close that it gets caught on walls and makes it hard to see enemy attacks coming. 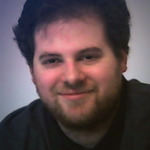 Moving on, the stripped down feeling continues with one of the worst experience systems I’ve seen. Each Yakuza game tries to do something different with the experience/progression system. 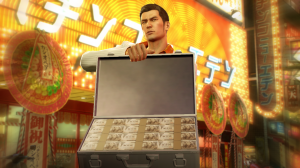 With Yakuza 6, the elaborate skill trees have been replaced by four generic lists. You now have experience broken down into multiple categories that is spent in varying amounts. You’ll once again earn experience by fighting, questing, eating, and random awards. The four lists are improving Kiryu’s base stats, skills relating to combat, skills relating to the Heat Gauge, and a catch-all for everything else. I have two problems with this system. The first is that it’s so abstracted and removed from the rest of playing the game. I don’t know what improving my evasion or heat gauge rating actually did in combat over the course of play. Unlocking new moves has no relation to what’s actually going on compared to previous games that tied it to quests and events. There was that sense of organic growth in completing side content or the Majima everywhere mode from Kiwami. I wanted more minigames like this. The other problem is that with “experience” split into different categories, it makes it that much harder to make major improvements. I was in constant need of “technique” which isn’t awarded for winning fights, and had to earn it through sub stories and eating. By the end of the game, I barely had any points in upgrades for the heat tree. All in all, I just felt like Yakuza 6 was a real let down and not the celebration of the series that I was expecting considering the fan-fare. If you’re like me and got into the series with Zero, Yakuza 6 is definitely a “for the fans” only experience. A lot of the additional content and options added to make Zero and Kiwami more appealing to outsiders is not featured here. I still liked the real estate and hostess management sub quests from Zero, and I’m kind of surprised that they weren’t brought back. While the story of Yakuza 6 is a fitting end to Kiryu’s legacy, the gameplay fails to live up to expectations.